Click the image for a larger version of the poster. Film screening and discussion as part of our work to build a base of anti-racist white organizers! Deep Green Resistance Seattle stands in solidarity with all serious, radical anti-racist organizing. We recognize that racism is a fundamental pillar of modern civilization. Confronting and dismantling racism serves as a serious blow to industrial civilization (the culture of empire). 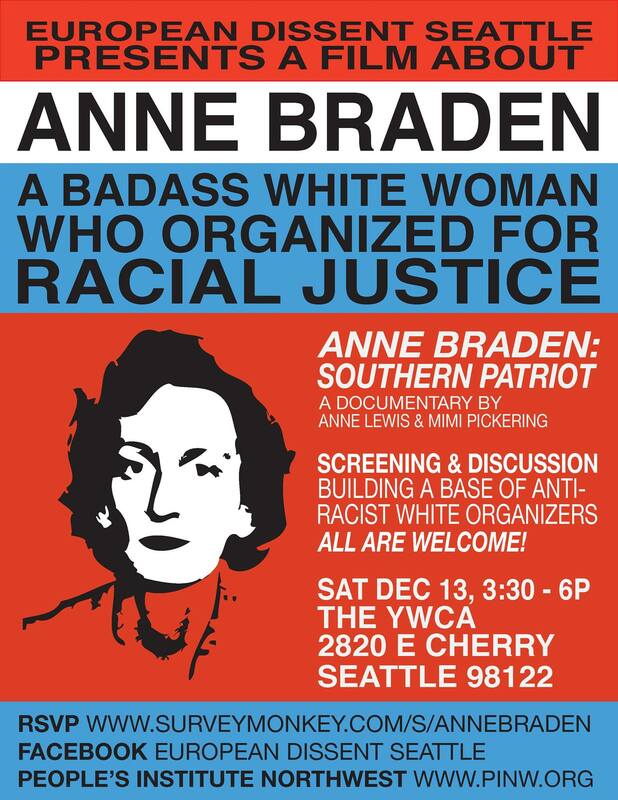 Some of our members plan to attend this event and are beginning to participate in the strong anti-racist organizing taking place in the Seattle area. We support the work of European Dissent Seattle. This entry was posted in People of Color & Anti-racism, Repression at Home, White Supremacy and tagged History, Horizontal hostility, Video. Bookmark the permalink.